The seminar on the implementation of the European anti-falsification directive Nár. org. pro ověřování pravosti léčiv, z.s. On Friday, 2 June 2017, the State Institute for Drug Control (SÚKL) held a seminar on the implementation of the European anti-falsification directive. The seminar was attended by 109 representatives of manufacturers, distributors and pharmacists who shall be affected by the directive (FMD) in the future and who thus had an opportunity to learn about the objectives and reasons for the upcoming project. 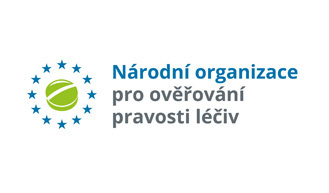 The representatives of the National Medicines Verification Organization (NMVO), the individual member organizations of the NMVO - AEDL, AIFP, AVEL, ČAFF and ČLnK, the Ministry of Health, GS1, SÚKL and Porta Medica provided all seminar participants with important information concerning the upcoming system that, starting in February 2019, shall make it possible to verify the authenticity of prescription medicinal products via a two-dimensional code. The seminar mainly informed the participants about the role of individual entities, the drafted legislation and its impacts, the current status of the project and the principle and verification of the two-dimensional code. Awareness of the market about the discussed matter was briefly presented at the end of the seminar.